The AAWC has been proud to honor the "AAWC Distinguished Member Award" to many influential and dedicated AAWC Members. Selected by the AAWC Awards Committee and approved by the AAWC Board of Directors, the AAWC Distinguished Member Award is given annually to those members who have selflessly volunteered an abundance of their time and talents to the AAWC and have gone "above and beyond the call of duty" to move the Association forward. Since joining in 1996, Joy has been a long -time supporter of AAWC. In addition to serving two terms on the Board of Directors, she has volunteered on the Membership, Educate the Generalist and Nominating and Board Development committees. Her contribution to the development of the Pressure Ulcer Description Tool has helped to move this highly important AAWC effort forward. "These recent contributions are examples of the consistent and supportive member you have been through the years," says AAWC President Greg Bohn. Joy is a consummate volunteer leader who consistently demonstrates a palatable passion and respect for our patients and members. She has served as a source of support, advice and wise guidance for many AAWC colleagues and staff during her tenure. Janice is recognized for her outstanding service that will continue to have a lasting, positive impact on Association programs, services, processes, leadership engagement, reputation and finances. Janice has been a dedicated member since 2009. AAWC appreciates her commitment as Chair of the Nominating and Board Development Committee and member of the Finance Committee, as well as her past service on the Corporate Advisory Panel. Dr. Ennis’s visionary leadership through the years has resulted in many of the organization’s current successes, such as the AAWC Wounds in Need (WIN) patient advocacy program and the AAWC Corporate Advisory Panel. Dr. Ennis has been instrumental in recruiting leaders to the AAWC Board of Directors and strengthening volunteer and staff infrastructure. His mentorship style has resulted in tremendous growth of our association. As an active and strong supporter of AAWC, the AAWC has reaped many rewards. Therefore, it is only fitting that Dr. Ennis be recognized in the year of our 20th anniversary. Mary was bestowed the award for her work as Chair of the Public Awareness Task Force, leading the committee to develop three patient-focused educational brochures, two of which are based on the association’s clinical guidelines. All patient brochures have been translated into Spanish and are very well received. Mary has been a member since 2000, has served on the AAWC Board of Directors, and most recently volunteered as Chair of the AAWC Silent Auction at SAWC Spring, which raised approximately $3,800 for the AAWC Scholarship Fund. 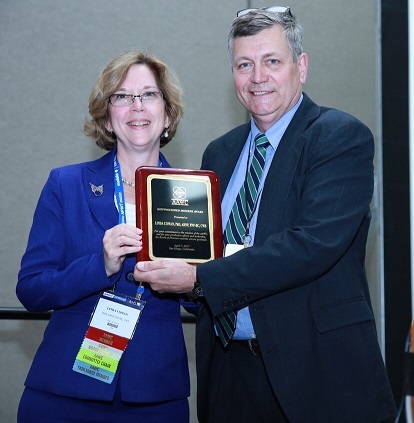 AAWC recognized BBJ’s tireless efforts to create and implement the “AAWC Research Poster Grand Rounds” held at SAWC each year. BBJ’s volunteer efforts to advance wound care were also highly noted, including traveling to Haiti through the University of Miami’s Haiti Relief program. In addition, Barbara created the “OUCH! Race” through the UCLA Bates-Jensen Wound Reach Foundation to improve wound care globally. Peggy Dotson, RN, BS was recognized for her continued service to the AAWC, especially as it relates to her tireless efforts as Co-Chair of the AAWC Regulatory Committee. Peggy continuously monitors and helps AAWC prepare responses to governmental and regulatory issues, as well as ensures that members are alerted to policy changes and other news that affect their practices. AAWC recognized Mary Jo for her contributions to AAWC as a member of the Board of Directors, as well as her efforts to facilitate the WHO Global Initiative for Wound and Lymphedema Care. Christine Eremento, LPN, CWS was awarded the Distinguished Member Award for her outstanding service as Treasurer. During her four years of service, Christine completely revised the way the Association handles its finances. Teresa Conner-Kerr, PT, PhD was an equally deserving award winner in 2008. Teresa continues to be a hard working volunteer. 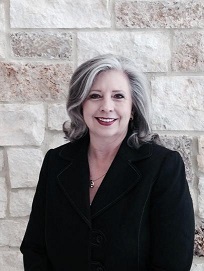 Teresa has served as the AAWC Network Newsletter Editor for many years. AAWC thanks Teresa for her continued dedication to this important members-only benefit. Renee Cordrey, PT, MSPT, MPH, CWS was awarded this honor for her work as site editor for the Advancing the Practice (ATP) Campaign’s website, 2004 – 2007. Renee also conducted pilot studies in Cambodia for the Global Volunteers initiative, an AAWC program. Laurie M. Rappl, PT, CWS was given the award for patient advocacy, for work on various committees, and for her Global Volunteers leadership. Laurie joined Renee on the site visit trips to Cambodia, where the two traveled as a pair to assess the educational needs of two hospitals. Under Tim’s steadfast leadership, the AAWC Quality of Care Task Force carefully drafted, thoroughly revised and finalized for publication a board-approved white paper entitled “AAWC Conceptual Framework of Quality Systems for Wound Care.” Tim went on to help the group establish the content-validated AAWC Wound Care Glossary. Who better to receive the AAWC Distinguished Member Award on our 10th Anniversary than Evonne Fowler, RN, CWN, CWOCN, the Founding President of the AAWC? Evonne was honored for her vision of AAWC and for her continued support as an active and enthusiastic Charter Member. AAWC honored Harriett Loehne, PT, DPT, CWS for her commitment to AAWC and for her dedication as Chair of the AAWC Public Awareness Task Force. Harriett led the task force to complete AAWC’s first educational brochures, the “ABC’s of Skin and Wound Care” – one for the public and one for the professional. Dr. Laura Bolton and Lisa Corbett, APRN, BC, CWOCN received this honor for their leadership as Co-Chairs of the Government and Regulatory Affairs Task Force and for their hard work on this Task Force’s first major project, the Venous Ulcer Care Initiate (VUCI). Dr. Nick Przystawski was also bestowed with the award for his outstanding work with the AAWC Finances as AAWC Treasurer (2000-2004) and for the development of the AAWC Scholarship Program in 2001. Dr. Diane L. Krasner was awarded the second AAWC Distinguished Member Award for her efforts to establish the AAWC and for her service as the Association’s first Executive Director. The first recipient of the Distinguished Member Award was the late Dr. John Boswick for his contributions to wound care and as a founding Board Member of the AAWC. Dr. Boswick was well known in the wound care community. He was a driving force in all areas that relate to our mission: education, clinical practice, research and public policy.